As HR and other leaders grapple with high turnover rates among the Gen Y/Millennial cohort (see last week’s post here), all kinds of issues get raised. Is the turnover due to “special” characteristics inherent in Gen Y? Is the turnover due to lack of education and training opportunities? Naivete on the part of Millennials – the world of work doesn’t match their expectations? Could a lack of thoughtful onboarding play a part? 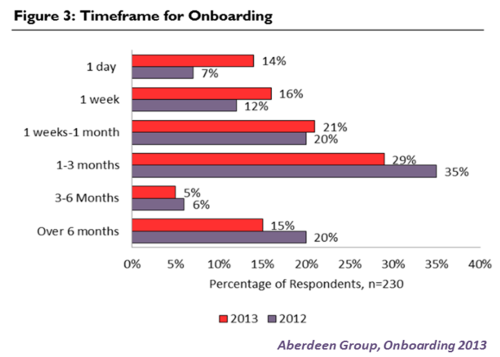 First of all, Aberdeen reports that only 37 percent of employers have invested in a formal onboarding program for longer than two years. 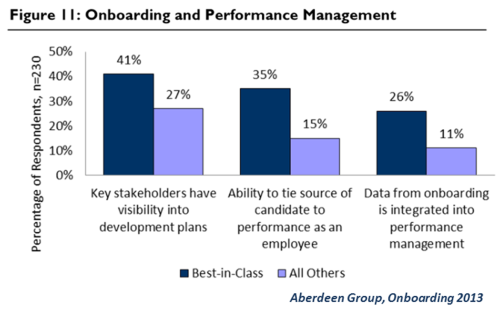 Surveys report that it’s difficult to quantify the ROI on formal onboarding programs so “basic orientation” activities are used in substitution. Socializing new hires into the organization’s culture is popular, but hard to measure. 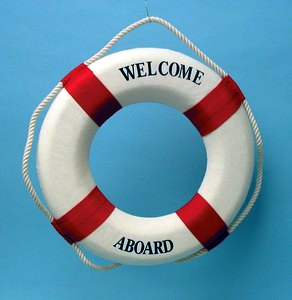 And so, “onboarding programs have fallen short and become little more than a transition from recruitment to employee development.” Interesting. But attention is starting to be paid and — surprise! — it’s all about productivity. One of the quickest routes to ROI is the improvement of productivity and that’s something organizations can measure. Other drivers for looking at new ways to onboard new hires include improving employee engagement, reducing turnover and improving new hire assimilation. But still, only 26 percent of Best-in-Class employers enroll new hires in learning and development programs compared to 11 percent of all others. Hmmm…. Balance tactical and strategic element. Think about these as you and other leaders in your organization wrestle with the high turnover rate in your Gen Y/Millennial employees. And take a look at this report. Aberdeen Group reports are very easily consumed. They’re written in normal English and have an easy to understand structure. Even if you can’t spend real money to make your onboarding program more productive, you can certainly get smarter about what works and make some adjustments based on data to improve your outcomes. That’s the whole point of research, right?